As so many people who live with Lyme disease will attest, just about everything Lyme related can be complex, difficult to understand, and sometimes even self-contradictory. This includes how Lyme disease is reported. As global warming drives tick populations to spread, news about the disease is likewise spreading. National news media have addressed the disease in a variety of ways this year, and even the U.S. Centers for Disease Control and Prevention — long criticized by many for being silent about the epidemic-level public health crisis — recently created a Lyme-specific “toolkit,” and earlier this year issued a warning about the rise in tickborne disease cases. There’s a Lyme disease vaccine for dogs. Why not for humans? Amy Tan wrote in the New York Times that she was told by doctors she can’t have Lyme disease because it’s not endemic to where she lives — even though she had hiked in areas where Lyme-carrying ticks are pervasive. Kris Kristofferson was diagnosed with Alzheimer’s — a terminal disease — following the sudden onset of extreme dementia; later, he was diagnosed with neurological Lyme disease, treated with antibiotics, and he regained his cognitive abilities and returned to touring. Shania Twain confessed she retreated from the public eye after Lyme disease damaged her vocal cords. After years of increasingly erratic behaviors from his daughter Ally, fashion designer Tommy Hilfiger committed her to a mental institution, where a psychiatrist recognized her symptoms, diagnosed her with Lyme disease, and successfully treated her. Coverage of all these stories, as well as those of Alec Baldwin, Ashley Olsen, Debbie Gibson, Kelly Osbourne, Daryl Hall and others invariably is respectful and faithfully reports these people’s accounts of their illnesses. Most recently, rave reviews for the new memoir from Porochisa Khakpour, have commanded respectful, undoubting coverage from major news organizations. This is a credit to Khakpour’s exceptional writing and to her unflinching focus on the disrespectful and sometimes dehumanizing treatment she has suffered from medical professionals in her attempts to find effective treatment. These well-known people’s stories are relayed with respect through the news media. Nothing about their often-desperate accounts, from Avril to Shania to Kelly to Alec, suggests that these people are deluded, that they’ve invented their own illnesses, or that they’re gullible fools who have been tricked by evildoing doctors. Yet in most news stories about chronic Lyme disease, medical professionals and public-health officials discuss Lyme disease patients in these terms. Why don’t journalists ever challenge this commonly presented contradiction? In June, Slate published an essay inspired by Khakpour’s memoir arguing that “decades of sexism may be to blame for our collective dismissal.” While I have no doubt that many male doctors are dismissive of many female patients’ complaints — I’ve heard this from my own friends — as a man who saw a dozen medical specialists over a dozen years, I must assert that male patients with persisting Lyme disease and other chronic illnesses are dismissed just as readily as female patients are. After ordering many thousands of dollars of standard and obscure neurological tests that yielded no answers, I was told variably that either a) nothing is wrong with me and I am seeking attention; b) my symptoms were manifestations of mental illness; c) I may have multiple early multiple sclerosis that has not yet had time to scar my brain; d) (unlikely) I may have an exotic, unknown disease; or e) (the most common explanation, from everyone from multiple general practitioners to a neurologist, an allergist, and a rheumatologist) all my problems were due to anxiety. It’s an odd dichotomy: many medical professionals have been trained to regard people who have been diagnosed with Lyme disease as “problem patients,” and as a result treat Lyme disease patients with a kind of uncompassionate dismissiveness reserved especially for them. In the 1980s, HIV patients were treated with such bias and disdain, both medically and socially, and the parallel is strong and obvious enough that the Department of Health and Human Services programmed it into the proceedings of a new Tick Borne Diseases Working Group this past winter. Lyme is a bizarre medical phenomenon. Federal agencies sometimes give lip service to the extraordinary suffering of patients, but after many decades still have done little to investigate why this disease is so mysterious. Federal agencies and many medical doctors insist that the diagnostic tests are reliable, and that treatment always cures the disease — and at the same time, they accept that an estimated five to 10 percent of patients who contract Lyme disease — while cured of infection, the authorities say — experience progressive illness after they are “cured.” Reason tells many of us that when an ill person is “cured” but becomes progressively ill after the cure, then that patient is not cured. The authorities say that this is poor reasoning. Why has the disagreement about the nature of Lyme disease reached a dead end? The CDC estimates that over 300,000 American people contract Lyme disease every year. Lyme disease is an infectious disease — as are Zika and West Nile and swine flu and bird flu viruses that the public health agency has sounded alarms about, except that Lyme is far more pervasive than all of these put together — whose sheer numbers of acute infection demand greater federal investment. Journalists never ask the CDC or the National Institutes of Health why they invest so little in research. By comparison, NIH invests $3 billion per year in researching HIV, which is contracted by 44,000 people annually; invested $1.1 billion in combating Zika in 2016, which to date has infected a few thousand American people ever; and NIH invests an average $25 million per year in researching Lyme, which is contracted by 300,000 people annually, up to 30,000 of whom do not recover after they are (according to the CDC) cured of their illnesses. News organizations of record The New York Times and the Washington Post eagerly relay unmediated statistics and quotes provided by CDC spokespeople. One might expect investigative journalists at least to ask some probing questions or, dare I suggest, independently research claims made by agency spokespeople to determine veracity and whether the information provided represents the full scope of reality. I have never seen an article from a major news organization that did this — with the exception of a multi-faceted collection of essays written from different perspectives published by the New York Times in 2013. That was a good start to responsible coverage of this disease. Unfortunately, it was also a dead end. How can such an extraordinary contradiction exist between news coverage of personal stories about Lyme disease and stories that address Lyme as a public health concern? Whether they present stories of celebrities or lay people or medical mysteries, human-interest stories about arduous Lyme experiences tend to be raw and brutally honest, told from the patients’ perspective. These stories, relayed regularly in news media, have a common thread of patients usually being dismissed and denigrated by medical professionals before being diagnosed and undergoing treatment that is sometimes, but certainly not always, successful in improving patients’ health. But then stories about Lyme disease as a public health issue tend to be directly contradictory: usually, they are told by infectious disease specialists and CDC representatives, and they state unabashedly that Lyme disease is absolutely not a long-term chronic illness, that it is always curable with antibiotics administered over a maximum of one month, and that patients who are diagnosed and treated with “chronic Lyme” (this term is invariably put into quotation marks to undermine those who use it) absolutely do not have a chronic infection — period. Both of these stories — the patient perspective and the joint infectious disease specialist and CDC perspective — are common, coexisting often within the same publications. What drives me crazy is that investigative journalists simply ignore the light year-sized chasm of questions that exists between these stories. If the ID specialists and the CDC are correct, then why do many doctors and researchers believe that long-term Lyme disease infection can occur? Why has the NIH not funded research to conclusively determine once and for all what the reality is? Infectious disease specialists admit that patients whose infections they claim have been cured may remain ill — but presumably with something that is not an infection. 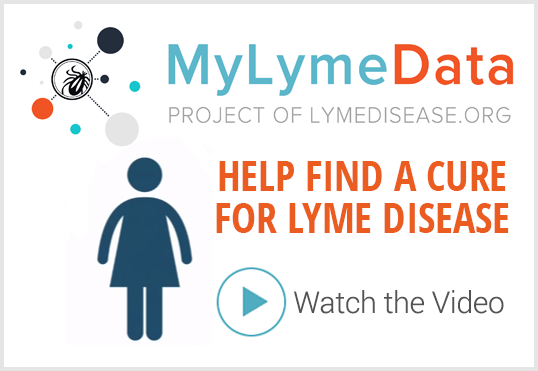 The CDC likewise observes this and states that patients should pursue diagnosis for a different illness; however, patients say that they’ve exhausted all diagnostic options, and that only Lyme disease specialists treat them, and the treatment helps, even if it doesn’t necessarily cure the illness. Does Lyme disease trigger some other sort of illness that is not infectious in nature? After so many decades, where is the medical research? Why has the NIH not funded research if up more than 300,000 Americans are infected with Lyme each year and tens of thousands never recover, even after treatment? Why is such a pervasive epidemic relegated to rare-disease status? How can an epidemic hide in plain sight, and how can journalists tell both sides of this story without ever investigating the extraordinary contradictions? Is a journalist’s job to relay unmediated information from federal agencies, or to investigate contradictions and probe into the truth behind difficult-to-answer questions? The NBC News article addresses Sick memoir writer Porochista Khakpour’s experiences with Lyme disease respectfully, presenting her experiences being treated as something of a villain by medical providers for being ill. Slate has faithfully reported her experiences as she recounts them. So has the New York Times. And the New Yorker. When stories about individuals’ experiences with Lyme disease are reported, they are usually true to the experiences of those individuals. Often, the theme is the longtime suffering, confusion and desperation, with an emphasis on the disrepectful or dismissive treatment of these patients by medical professionals. And yet, when stories discuss those patients — celebrities and noncelebrities alike — as a collective group, the information presented changes radically. In 2012, Slate published the most egregious example of patient misrepresentation I’ve ever seen. Although the content is contradicted by more recent stories, including the one cited above stating that women with chronic illnesses are mocked and disbelieved by medical professionals, the article above — written by the person who is now the health, science and environment editor at the Washington Post and current president of the National Association of Science Writers — is still available online. The article is a direct attack on Lyme disease patients: it calls them names (“Lyme truthers,” “Lyme disease conspiracy theorists,” “vulnerable, confused people”); it suggests that all people with Lyme disease are either likely to have voted for Mitt Romney simply because he acknowledged it, or else that they are so unthinking as to be vulnerable to pandering to them for votes; and most astonishingly, the author posthumously revokes a medical doctor’s diagnosis of Lyme in a woman who killed herself, and instead says she succumbed to “most likely depression, and depression is treatable.” After I found this article, I contacted the author and received no reply. I contacted Slate and Washington Post editors and received only one response from an editor at the Post, who defended Helmuth based upon her educational credentials. I requested a face to face meeting with either the author or with the paper’s editors to discuss Lyme disease, and never received any reply. More recently, I wrote to Slate’s current health editor and requested that, in light of recent articles published by Slate in support of Porochista Khakpour, the organization at the very least add a disclaimer to its 2012 article noting that the story is old and does not represent current understanding of Lyme disease; the editor replied that an amendment may be considered, but weeks later, the original article exists as originally published. In 2016, VICE published an article called “If You Think You Have Chronic Lyme Disease, Most Doctors Say You’re Wrong” in partnership with MedPage Today, a medical education website. The article is riddled with apparent conflicts of interest and other questionable claims, among them the selective presentation of a few patients positioned as Helmuth describes — “vulnerable, confused people” duped by snake oil sales-doctors. Over 250 reader comments on the story petition VICE to revise the strongly biased article, or to publish a different perspective. When the article was published, I contacted its author, as well as VICE editors and television news producers, including comedian Bill Maher, who owns the company that co-produces VICE News for HBO, to request that the news organization investigate further. None ever replied. Curiously, on his own series Real Time With Bill Maher, Maher several weeks ago acknowledged the real dangers of Lyme disease — comparing the unstoppable explosion of dangerous, infectious ticks to the Trump administration. 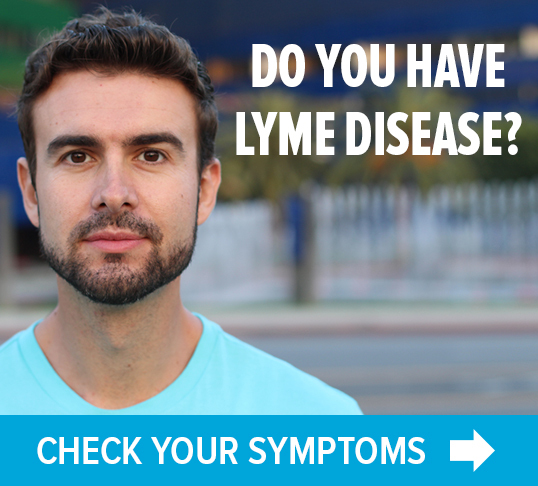 Last year, the Washington Post published a story called “Dangerous unproven treatments for ‘chronic Lyme disease’ are on the rise.” This news coverage was criticized by patient-advocacy group LymeDisease.org for a variety of reasons, including relaying information directly from the federal agency without lending any further context. The story was based on — in fact, it did nothing other than serve as publicity for — a CDC Morbidity and Mortality Weekly Report issue, which profiled five individual cases of patients suffering negative consequences of being treated for Lyme disease and concluding, based on these isolated incidents, that all such treatments are dangerous to all patients. Two of the incidents involved healthcare-associated infections acquired during treatment, which the CDC has disclosed (although did not mention in this particular report) affect 1.7 million Americans annually, resulting in 99,000 deaths each year. I would think a health journalist might ask, for example, why several cases of healthcare-associated infections out of over one a half million cases warrant an advisory against Lyme disease treatment overall, but no such advisory has been issued for treating other diseases when similar infections are an even higher risk. These questions are never asked; rather, major news organizations tend to serve the role of public relations agencies for information issued by public health agencies without any attention to contradictions, and without ever considering context. I wrote to the author and editor of a recent Washington Post story about Lyme to request that they consider continuing to investigate tickborne diseases, but with the type of true investigative journalism that the issue almost never receives. To date, I’ve received no response, which has prompted me to issue a public request — or a challenge, if you like — to all journalists who cover Lyme disease: Do the work of journalists, not publicists. When relaying patient stories about Lyme disease, it is reasonable and responsible to present context about how and why the purportedly scientific institution of medical science has become dogmatic about what Lyme disease is and is not, and where the gray area lies. When relaying information from public health agencies and from private medical societies and associations, it is reasonable and responsible to request and receive information that supports the individuals’ claims, and it is imperative to consider information that contradicts those claims. An authority and colleague of that authority asserting that “the science is settled” does not guarantee that the science is settled. When a patient has seen literally scores of doctors and received only respectful treatment that improved that patient’s health from one specialist, this begs further investigation into why. When that patient’s health improves objectively during and following treatment, yet other medical professionals assert that such treatment does not help because the disease the patient claims to have supposedly does not exist, this warrants further investigation. When the patient is returned to the system and passed around by disbelieving and disrespecting clinicians, given psychiatric medication, and her health continues to degrade, and most doctors say that this is the most appropriate and best course of action, does this not beg further investigation into why this system of patient treatment has become the accepted norm, without any of those clinicians or any public health authority insisting on federally funded research to determine the basis of the disease that is doing this to a rapidly increasing number of patients, represented as well by an unusually high number of celebrities who report similar symptoms and, in many cases, improved health from treatments that medical authorities by and large assert simply does not work? This epidemic presents a veritable goldmine of questions that demand intensive investigation and public awareness. There is no reasonable explanation for why these questions are consistently ignored by intelligent, motivated journalists. But there is historic precedent for this having happened, and it’s recent. A journalist from the San Francisco Chronicle named Randy Shilts published a chronicle of the AIDS epidemic called And the Band Played On, detailing how as the disease spread, the public remained in willful denial. Shilts died of that disease. In his book, he states that had he not worked for the San Francisco Chronicle, he probably would not have been permitted to follow the story because, effectively, there was a willful public denial, an opting out by the Reagan administration, by journalists, by the public at large, for so long that the epidemic needlessly spread like wildfire. In the foreword to his book, Shilts wrote that he wrote And the Band Played On so that the atrocity of willful public ignorance based on biases and prejudices would never happen again. I’ve written more patient-focused articles about tickborne diseases than I can remember, alongside Mary Beth Pfeiffer, Dana Parish, Lew Leone and Teresa Priolo and a few others, and I have written privately to countless journalists, news editors and producers imploring them to investigate this disease independently and aggressively, to conduct real research, and to recognize their potential in bringing an end to this endlessly circuitous he-said/she-said debate as patient after patient succumbs to this illness. Journalists have risen to the occasion in the wake of the Trump election, navigating greater challenges than ever, and investigating more doggedly and more responsibly than ever before. Twitter is abuzz with constant revelations brought about by smart people asking smart questions. There must be at least one health journalist at the New York Times, one at the New Yorker, one at the Washington Post (if permitted by editors), one at every major news organization who can begin to ask questions. At that time, the CDC suggested that post-treatment Lyme disease symptoms may be the result of the infection having triggered an “auto-immune” response. Last December, I asked a CDC official why “auto-immune” was written in quotes on the CDC website; this person told me that autoimmune diseases are real and spreading, and that she would recommend that the quotes be removed from the term on the CDC web page, as many hypothesize that Lyme disease infection may trigger the onset of an autoimmune disease, which could be the “missing link” for chronic Lyme disease patients. The page has been revised, but it now states that “the cause of [post-treatment Lyme disease syndrome] is not known,” warns against the treatments that help many Lyme disease patients regain their health, and does not suggest autoimmune dysfunction, nor does the CDC recommend any investment in federal research to resolve the mysteries associated with Lyme. It simply discourages treatment regardless of whether that treatment helps patients or not. This strikes me as odd — certainly because I am one of those patients, but even if I weren’t, I’d expect people who work in public health, who practice medicine, and who cover medical practice for a living to seek explanations. Nope. It doesn’t happen. Why are the same stories told over and over again, but decades-old questions about the nature of this disease almost never investigated? The New York Times did an excellent job of bringing multiple perspectives on the disease to light in 2013. This groundbreaking series of co-presented articles should have set a precedent, but turned out to be a one-off. Why is no one digging into the contradictions of this disease? Lyme — not to mention other tickborne diseases — is poorly understood and poorly funded. As discussed above, the CDC estimates that about 300,000 Americans contract new cases of Lyme each year, compared to approximately 44,000 cases of HIV and up to a few thousands cases of Zika; and yet, the federal government invests an average of $25 million per year for Lyme research, $3 billion for HIV/AIDS research, and in 2016 spent $1.1 billion on Zika research. How do priorities such as these serve the public interest? Why does an epidemic that newly infects 300,000 people every year receive less funding than many rare and better-understood diseases that do not mysteriously cause frequent disability while frequently going undetected by existing diagnostic tests? Why do so many patients who are treated with Lyme disease go on to become sicker and sicker, even as public health officials and medical doctors say deny that it is happening? When Lyme disease can affect the brain — just like closely related syphilis — and cause mental illness, why are patients who are diagnosed with Lyme and who display symptoms of mental illness dismissed as crazy rather than treated for a physical disease that can produce mental illness as a symptom, not a cause? What is the role of inflammation and potentially of autoimmune dysfunction, as related to Lyme disease infection? Why is NIH not investing significant resources in this if the CDC suggests that such a process could be the basis of the mystery of chronic Lyme? Why did the CDC last year suggest that persisting post-treatment Lyme symptoms may be due to a related autoimmune disease, and then eliminate that mention from its website? Why did the Canadian government pass legislation stating that “the current guidelines in Canada are based on those in the United States and are so restrictive as to severely limit the diagnosis of acute Lyme disease and deny the existence of continuing infection, thus abandoning sick people with a treatable illness”? Why did the Department of Health and Human Services, to which the CDC belongs, draw overt correlations between the historic HIV/AIDS epidemic and the current Lyme disease epidemic at an unpublicized federal tick-borne diseases working group meeting, while publicly downplaying the severity of tickborne diseases for decades, finally issuing a new spin many months later with an urgent recommendation for the release of a new Lyme vaccine? Why is there a “Lyme war,” with the CDC and infectious disease doctors on one side, claiming that all cases of Lyme are easy to diagnose and permanently cure, and patients, Lyme disease specialists and some lawmakers on the other side who claim that many people become chronically ill to the point of disability unless they are provided ongoing treatment? And a related question news producers, editors and writers need to ask themselves: Why do writers always defer to the opinions of the health authorities over the first-hand experiences of thousands of patients, even as individual patients’ stories are frequently reported respectfully? Does this extraordinary, overt contradiction in reporting not raise questions among any journalists? Why not? I ask this with full knowledge that it likely will lead you to think I am a “conspiracy nut”; however, I urge you to consider this anyway, because history has proven that federal agencies and respected institutions do not always have the public interest in mind — and that is part of the reason, I was taught, we have an investigative press corps. Consider the 50-year-old Tuskegee syphilis experiment that the CDC administered; the sugar industry’s influence over Harvard University scientists in the 1960s whose misinformation is still ‘common wisdom’ today; the U.S. Census Bureau’s 50-year-long false denial of having been complicit in the internment of Japanese Americans; inhumane psychological experiments on invalid people at Washington, D.C.-area hospitals; a variety of potentially unethical actions undertaken by the FDA, as reported by Scientific American; stunningaccusations made by a cohort of CDC scientists that the agency “is being influenced by corporate and political interests,” etc. None of this is meant to suggest any sort of clandestine operations; however, all of these are real, thoroughly documented and reported examples of historic events in which federal agencies were not reliable sources because of internal interests being conducted at the private citizens’ expense. Time and again information promulgated by federal offices has proven after the passing of time to have been unreliable. Therefore, other sources must be considered. Journalists from the New York Times and the Washington Post should understand this now more than ever before. CNN, MSNBC and Fox News have 24 hours of time to fill; surely, all of them could dedicate time to a true investigation of an epidemic that is unfolding in real time if a small local news station in New York was able to do so. Don Lemon, Anderson Cooper, Sanjay Gupta, where are you? Glenn Greenwald? Anyone? Is investigative reporting reserved exclusively for salacious political stories? What does it say about the state of journalism when Dr. Oz is the only person reporting nationally on controversies surrounding an epidemic that affects over 300,000 American people every year and renders many of them disabled or otherwise ill for years, or even for a lifetime? I implore journalists from major news organizations to begin to ask long-ignored questions about the nature of this disease, and why it is handled as it is handled. It’s not going to go away on its own, and as it spreads, it’s bound to touch your lives if it hasn’t already. 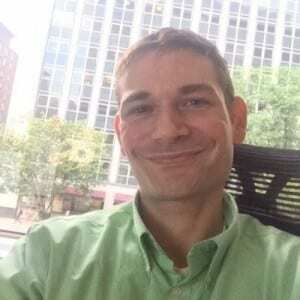 David Michael Conner is a freelance writer in Washington, DC, who frequently writes about Lyme-related issues and the media. On Twitter, he’s @Artistlike . TOUCHED BY LYME: Insurance coverage for Lyme? That’s a horse of a different color. « Previous Post Brown dog tick causing RMSF epidemic in Mexico. Spreading to US?